It's crazy to think that 40 years ago today, a film with start a craze that would impact millions of lives to come over the next 4 decades and more. Star Wars has of course had a huge impact on my life, my friends and families lives. It's something that all of us have been able to bond with since we were kids, and still bond over today. 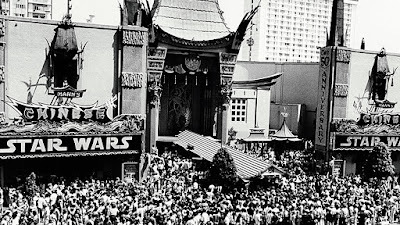 I always love seeing the picture of the crowds at the Chinese Theatre in Hollywood rushing to see A New Hope in 1977. The excitement of more Star Wars films and the upcoming Star Wars Land at Disneyland is everything we ever wanted as a kid. I can't believe this all started 40 years ago. 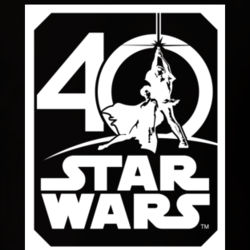 I can't wait to see what the next 40 years of Star Wars holds. Thanks, George Lucas for creating something that changed the world and changed our life.